Find a vacation home to rent in La Gaude from our list of vacation rental properties. Campaya has over 5 vacation homes available in La Gaude, which give you the possibility to locate a unique accommodation in La Gaude which completes your check-list in search for the perfect self catering vacation apartments in La Gaude or vacation villas in La Gaude. 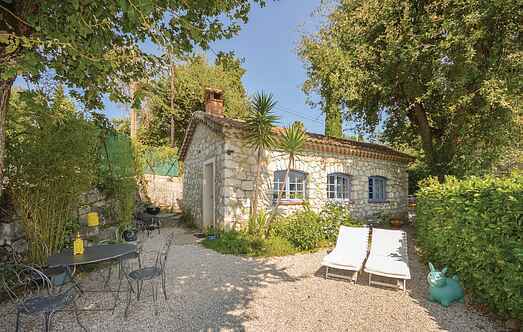 Discover this beautiful holiday home with private pool 21km from Nice, and 13km from St Paul de Vence. This charming stone holiday home promises you a relaxing holiday due to its quiet and isolated location. you will fall in love with the beautiful indoor pool (open all year long and heated) of this splendid holiday home located 13km from the beaches.